Panda handlers are on baby watch at the Calgary zoo after Er Shun, a giant panda on loan from China, was inseminated on Tuesday. 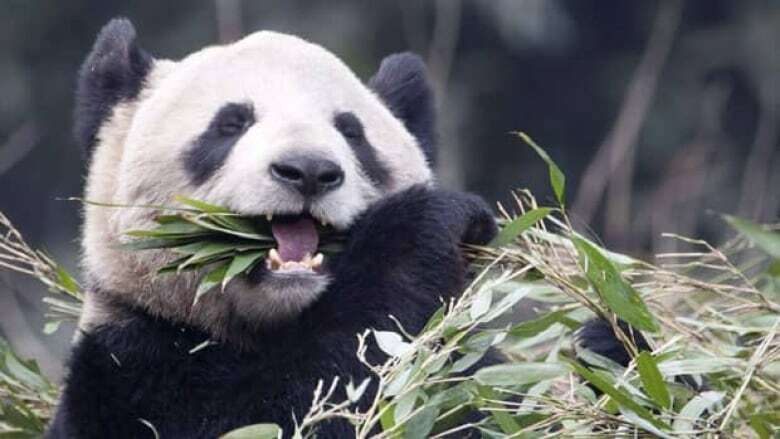 Colleen Baird, manager of animal care for the zoo, says it could take several weeks to find out if Calgary will be the birthplace of any panda babies. The process is delicate. For the past few weeks, handlers have been carefully monitoring the female’s estrogen and progesterone levels to pinpoint the narrow window of opportunity for pregnancy, Baird told the Calgary Eyeopener. Giant pandas ovulate only once per year. “There’s a certain point when she cycles that it’s time to inseminate, and those values are what we need to make sure we have the right timing,” Baird said. Preparations involved “a lot of collecting urine” and keeping Er Shun happy and calm during the spring mating season. “That can be tough when pandas are going through cycles, because she’s experiencing quite a change in hormones,” Baird said. Gestation usually takes between 95 and 160 days. The father is not Da Mao, the male giant panda who is also at the Calgary Zoo, but a donor from China, which Baird says has to do with lineage. Baird says it could take a while to find out whether the panda has become pregnant. There’s no blood test, and giant pandas don’t necessarily show their pregnancies. Baird said the team will wait “several weeks” before checking via ultrasound. The Calgary Zoo welcomed four giant pandas last spring: Da Mao, Er Shun and her two cubs, Jia YueYue and Jia PanPan. The rare animals are on loan from China for five years, housed in an exhibit called Panda Passage.